Show all the shared folders on Windows-10, this example is also for Windows 8.1 and Windows 7! In this Windows 10 FAQ "Show All Shares" is a solution / simple explain how you can view all the shared directories (folders) that exist on your computer at once! However, anyone who is new to Microsofts Windows OS or just starting to build a home network may not know what releases are and what shares can be used for. 1.) ... Show all shared folders on Windows 10! 2.) ... Prevent automatically adding shared folders to the Windows 10 Search index! 1.) Show all shared folders on Windows 10! (Image-1) All shared folders on Windows! If you have set up your own home network, you have many functions at your disposal and you can share the files saved on your PC with your home network group for other devices. To learn how to share files, folders, and drives on the home network, read this part: ► Command to open Advanced sharing settings in Windows 10? You can use in Windows 10 the Shared Folders Microsoft Management Console (MMC) snap-in to centrally manage file shares on a computer. Shared Folders enables you to create file shares and set permissions, as well as view and manage open files and users connected to file shares on the Windows 10 computer. You can share folders and files with others on your network or you can share your entire hard disk on Windows 10. For more control, you can specify the number of users you allow to simultaneously connect to the shared folder for your Win 10 PC. The maximum number of users allowed to connect to a shared folder is limited by software licensing terms. You can disconnect users from a shared folder by using the Shared Folders MMC snap-in or by using the command prompt. You cannot disconnect users through Windows 10 Explorer. Share permissions apply to users who connect to a shared folder over the network. Share permissions do not affect users who log on locally, or log on using Remote Desktop. 2.) Prevent automatically adding shared folders to the Windows 10 Search index! (Image-2) Shared folders Windows-10 Search Index! Over time, you lose track: which of your own folders are actually given free? Windows has just the right tool for this purpose, which clearly shows you all important information about releases. This policy setting configures how Windows 10 Search adds shared folders to the search index. If you enable this policy setting, Windows 10 Search is prevented from automatically adding shared folders to the index. Windows Search does not automatically add shares created on the computer to the scope of the index. 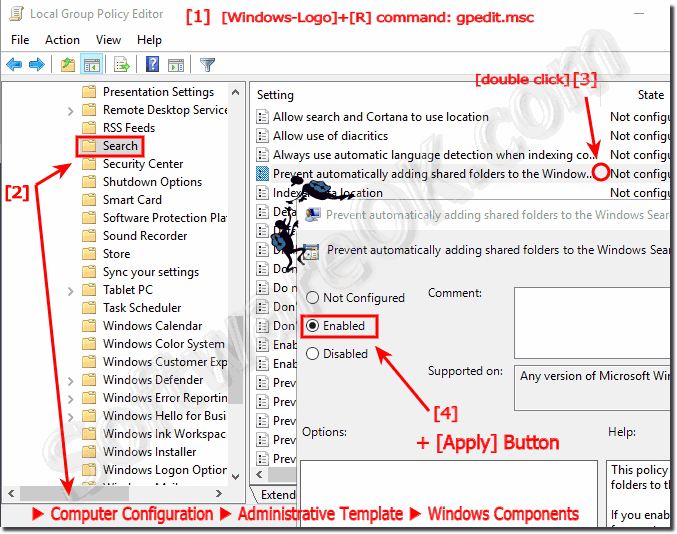 If you disable or do not configure this policy setting, Windows 10 Search monitors which folders are shared or not shared on this computer, and automatically adds them to or removes them from the index. 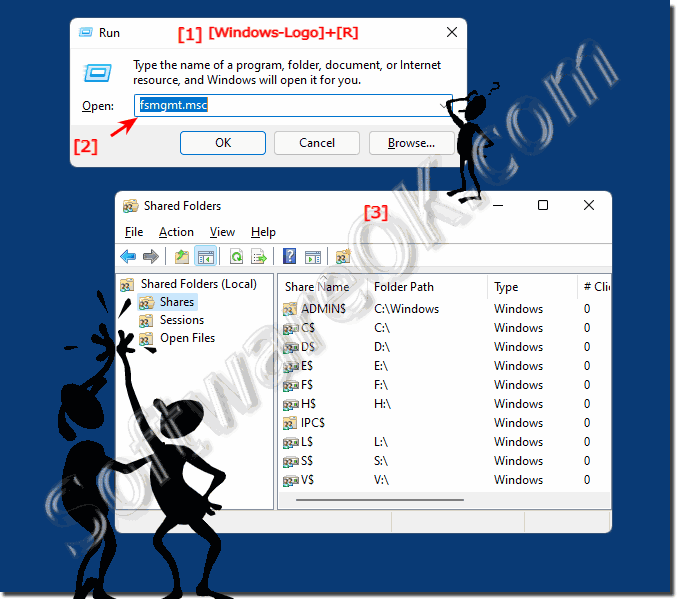 Windows-10 - FAQ-173: How to see all shared folders on Windows-10 Home and Pro? Overview of shared folders on Windows-10? Find the shared folders on Windows-10? Where ar shared folders on Windows-10? Share folders and view accesses to them on Windows 10?